Most Pens fans are familiar with Hockey Fights Cancer month and the purple jerseys that are associated with it. Back in 2012 during the NHL lockout, some Pittsburgh hockey bloggers wanted to do something to stay in touch and have fun during the extended off season. 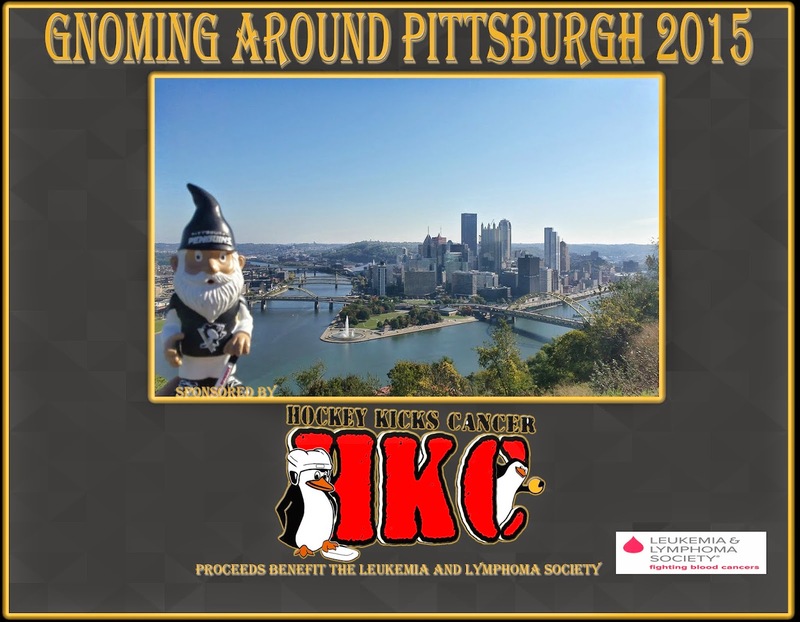 The blogging community joined together for the common cause of raising funds for the Leukemia & Lymphoma Society, the same charity the Hockey Fights Cancer benefits. A kickball tournament called Hockey Kicks Cancer was born and is still going strong 3 years later. In that time, we have raised and donated a staggering $40,179.84 to the Leukemia & Lymphoma Society through our fundraising efforts at the event and from corporate gift matching programs. As we approach the end of our 3rd year as an event, we have decided to do something in the kickball off season to benefit our friends at LLS at the time of year where most of us think about giving to others. 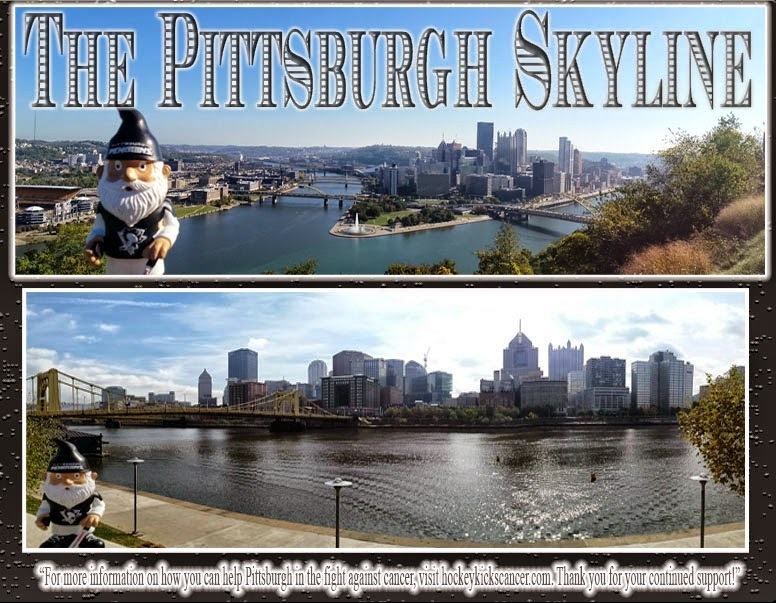 This year, we are selling a calendar featuring a Pittsburgh Penguins garden gnome at various sights and landmarks around our beautiful city of Pittsburgh. 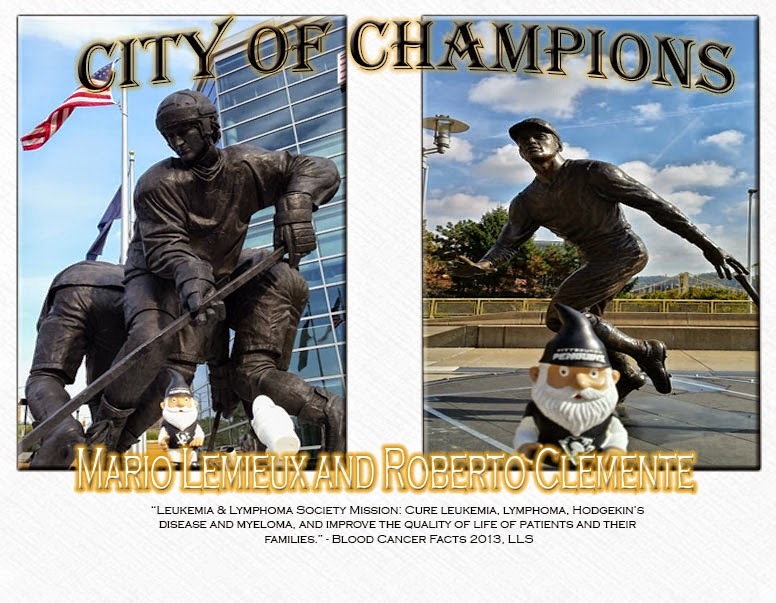 We cannot express enough our gratitude to the NHL and the Penguins organization for allowing us the privilege of using their logo to help raise awareness for the Leukemia & Lymphoma Society. 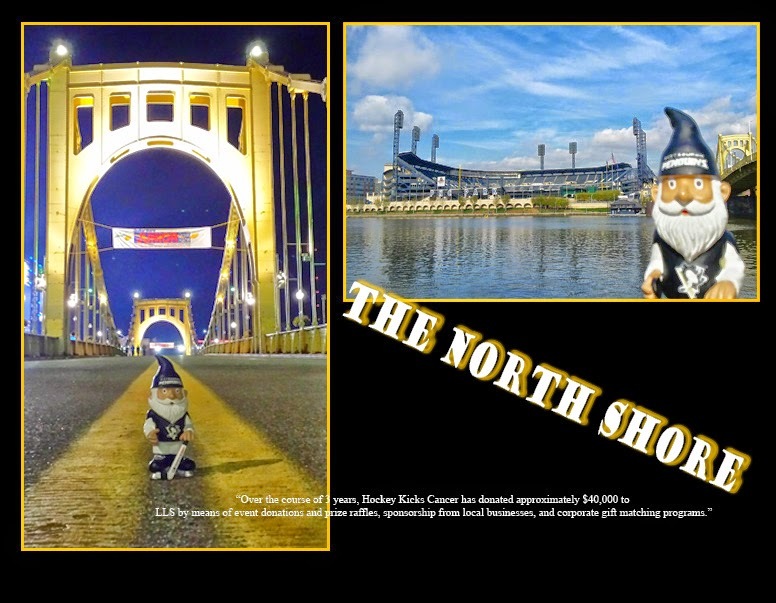 The calendar is being pre-sold as we work with our publisher to have the calendars printed and shipped to Pittsburgh. The cost is $15+ shipping. We are shipping anywhere in the United States, Canada, and Europe for a flat rate for each region. 100% of the proceeds from the calendars will be donated to the Western Pennsylvania/West Virginia Chapter of the Leukemia & Lymphoma Society. You may place your order at our Ecwid page or via our Facebook Page. We will do our best to ship for Christmas delivery so get your orders in as soon as possible! Please share with your friends and family and help us in our continued fight against cancer!